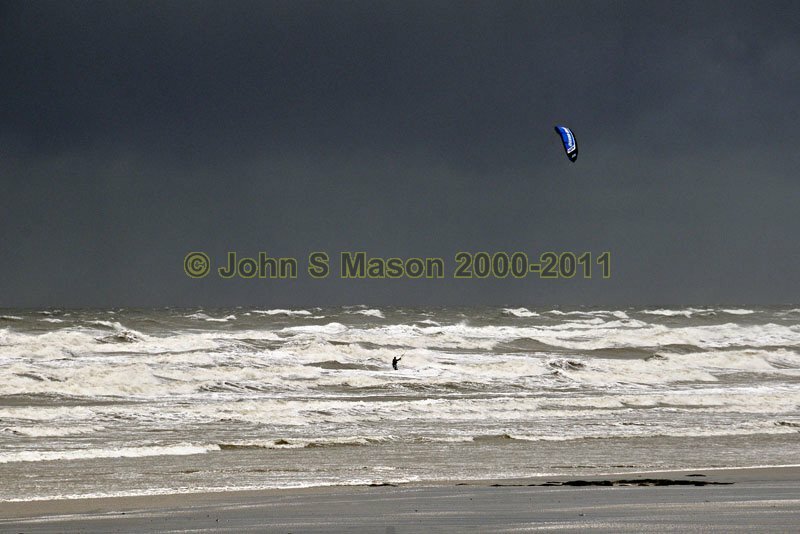 A lone kitesurfer dwarfed by the huge waves and an approaching squall at Borth on a March day in 2009. Product number 030922. Email me to enquire about this image: click HERE.